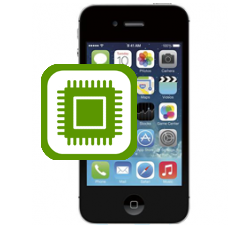 If the logic board has failed on your 16GB iPhone 4 then this is the repair service for you. We will replace the 16GB iPhone 4 logic board on your iPhone with a brand new factory unlocked logic board, restoring full functionality to your iPhone 4. Price includes fitting, parts and fully insured return shipping in the UK. * Our normal repair turnaround times are 3 - 10 working days unless parts are to be ordered. We always aim to complete repairs as fast as possible. This is an in-house Apple iPhone 4 repair service, when ordering this service you are required to ship your iPhone into our repair centre for works to be undertaken.